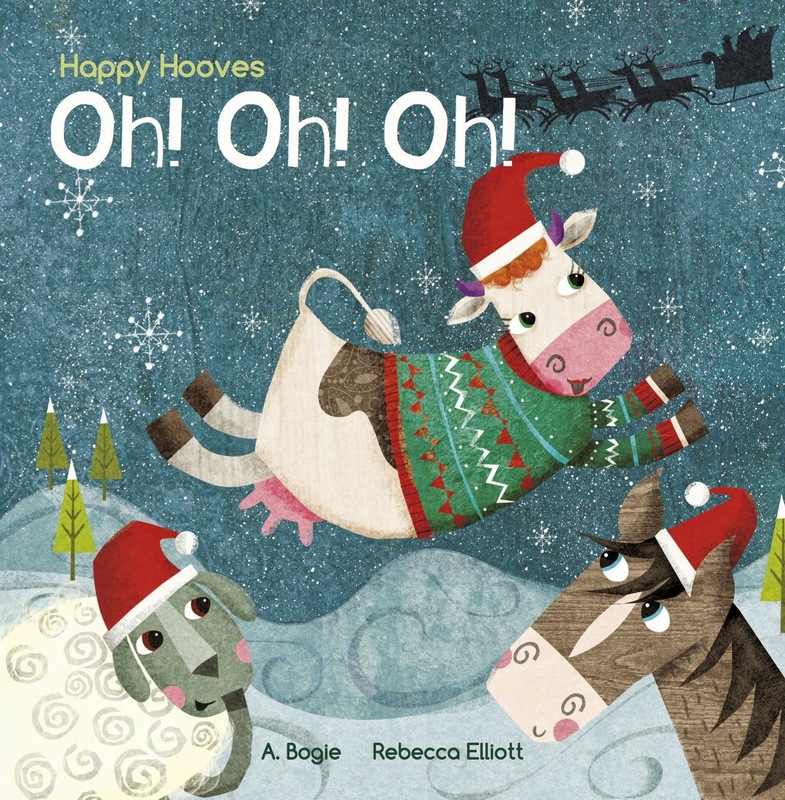 Children's Book Review :: Happy Hooves Oh! Oh! Oh! We are really beginning to get into the festive spirit here in the Mellow Household as all the shops are now suddenly full of Christmassyness and we made our Christmas cake together at the weekend. We've lifted out a few Christmas themed books to start getting into the mood and Happy Hooves Oh! Oh! Oh! is another fun addition to our festive bookshelf. Earlier this autumn, Happy Hooves Ta dah! was released by Fat Fox Books which introduced Anna Bogie's farmyard friends. Happy Hooves Oh! Oh! Oh! is the next in the series and features a cow, sheep, horse, pig and a donkey who really want to get into the festive spirit but each begins to worry when they realise that they don't have a chimney in their part of the farmyard for Santa to bring them presents. Happy Hooves Oh! Oh! Oh! is a smiley, fun book with a subtle message about teamwork in it but which also explains that it doesn't matter where you live... Father Christmas will always find a way. The book benefits from lovely illustrations, each with a wintery, snowy theme, by Rebecca Elliott. The animals are very stylised and we love their Christmas hats and outfits! Lara really got into the whole panic about how on earth Father Christmas was going to deliver all the presents (she had a backup plan just in case... the magic key would have done it). Happy Hooves Oh! Oh! Oh! is a fun little Christmas picture book. I would recommend Happy Hooves Oh! Oh! Oh! for children from age 2 to 7 years old.